January 27 marks the 186th birthday of Charles Lutwidge Dodgson, better known by his pen name Lewis Carroll. Though Lewis Carroll is best known for Alice's Adventures in Wonderland and Through the Looking-Glass, he was also a mathematician and published various mathematical works. Learn more about him using our various eResources or read an eBook about or written by Carroll. Looking to learn more about Lewis Carroll? We have eBooks and eResources available to help. In addition, BiblioBoard has an excellent anthology on Lewis Carroll, including hard to find biographies like The Life and Letters of Lewis Carroll by Carroll's nephew Stuart Dodgson Collingwood and Lewis Carroll in Wonderland and at Home: The Story of His Life by Belle Moses as well as games and puzzles created by Lewis Carroll, images taken by him, and much more. 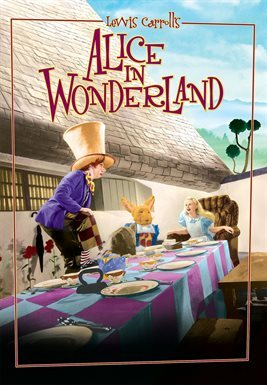 There are no shortage of eBook and eAudiobook copies of Alice's Adventures in Wonderland and Through the Looking-Glass available for checkout. Hoopla even has a few movie adaptations available for checkout. 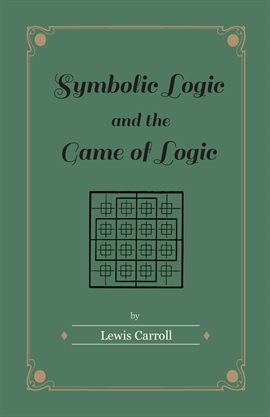 While Lewis Carroll is best known for writing Alice's Adventures in Wonderland and it's sequel Through the Looking-Glass he also wrote quite a bit of poetry and several mathematical works. Submitted by Anna Fox on Tuesday, January 23, 2018 - 7:00 AM.